When it comes to that time of pulling chunky knitwear from the depths of your wardrobe, drinking copious amounts of hot chocolate and switching bare legs for tights, I am in heaven. There's only one thing I don't look forward to when the transition into A/W begins. When the seasons start to change, my skin goes into a bit of a crisis. I'm not just talking about a little redness around my nose and the need to up the ante with my moisturisers. No, I need a full-on overhaul to keep dryness and irritation at bay, for my body, face, lips and tips. Hard working products, come at me! Last year, my face was in such distress that I shunned all my usual, skincare favourites and brought in fragrance-free, rich alternatives. Stripping back the fancy-pants formulas and gimmicks, I was left with a simple regime that injected moisture, protected my skin from the harsh cold and healed my poor, red, sore, flakey patches. The majority of that routine was made up of La Roche-Posay products. If you have dry skin that can be sensitive, you have to try the Toleriane Riche Moisturiser. Despite being thick, the non-comodegenic formula has never caused me to break-out. Whilst skin happily laps up the majority of product, it does leave a slight, non-oily residue, but it makes the ideal primer for base makeup. Dry skin is revived and feels soothed. Whenever my skin has had a serious meltdown, after suffering an allergic reaction, I've reached for the Toleriane Ultra. Serious stuff, this is the richest moisturiser I've ever tried and will totally leave an oily layer on your skin. But, again, it won't clog pores. Soothing, calming and intensely nourishing, it provides welcome, comforting relief for intolerant skin. Free from preservatives, parabens, fragrance, alcohol and other possible irritants, the brand have whittled down their ingredients lists, to make sure their products can be depended upon when you're worried about flare ups. To prevent a dull complexion, it's important to slough away any dead skin cells and regularly exfoliate. The quickest and gentlest way to do that, is by using an acid toner. Don't worry, they may sound scary but they won't melt your face. 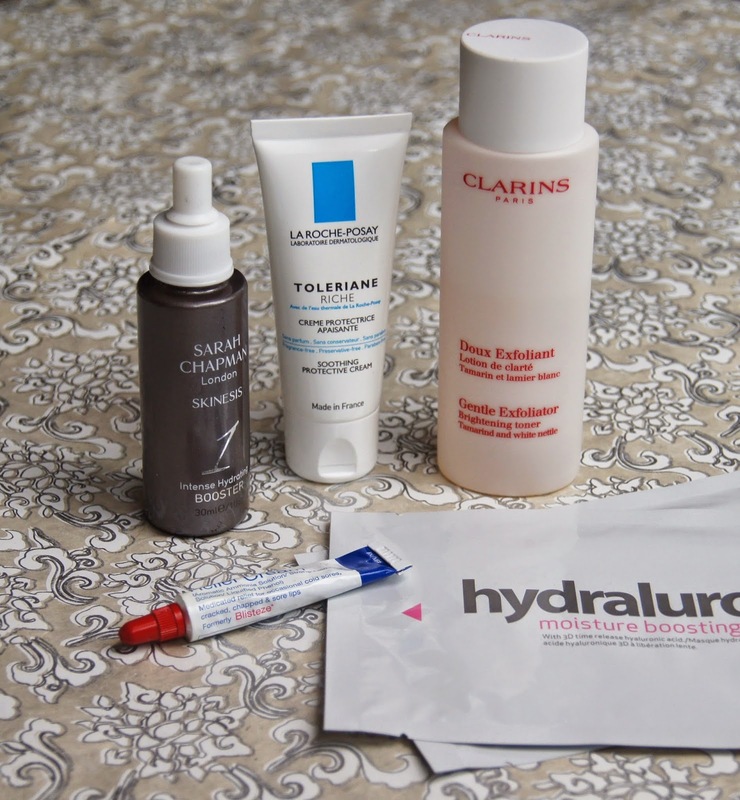 My favourite is the Clarins Gentle Exfoliator Brightening Toner, which feels like a soothing lotion and isn't at all harsh. Unlike others on the market, this doesn't sting or leave skin feeling stripped and tight. 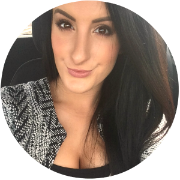 Instantly, skin is smoother and softer, ready to be followed up with the rest of my routine. Long-term, my skin remains clearer and flakey patches are kept at bay. 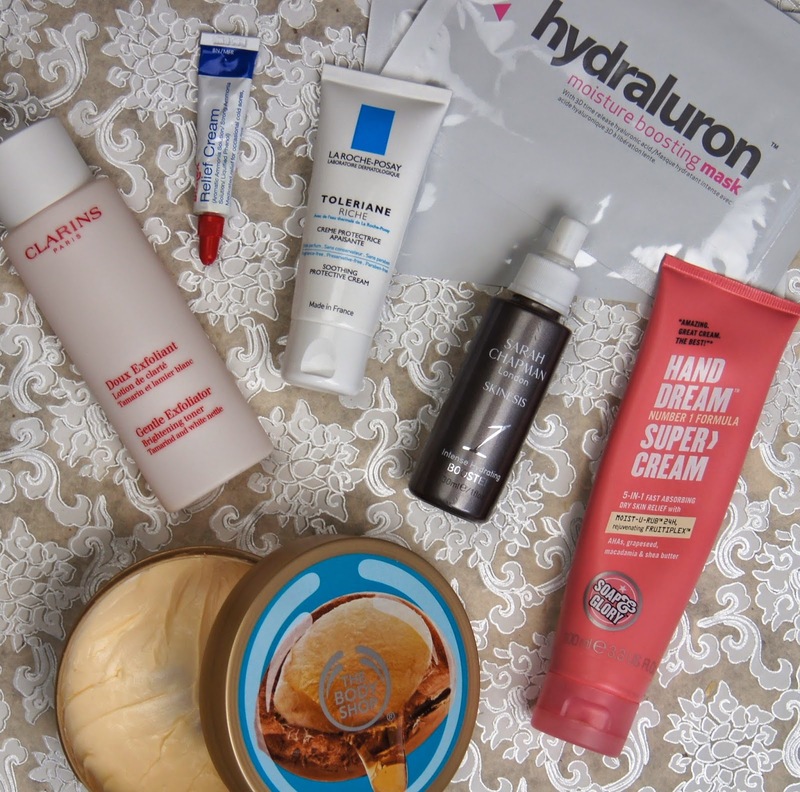 I recently found a replacement for my previously beloved Indeed Labs Hydraluron Serum, in the form of the Sarah Chapman Skinesis Intense Hydration Booster, which you can read more about in my September Favourites. As soon as I tried it, it rocketed up to holy-grail status. Offering a generous injection of moisture, this silky serum nourishes and protects the skin from outside elements. Oil-free, it isn't too heavy and just gives you the softest, juiciest skin you could want. Yes, it's expensive, but if there's one skincare product I'd invest in, it's serum and this is miles ahead of any others I've sampled. Just go and try some on the back of your hand, you won't regret it. Indeed Labs products haven't been completely abandoned, as I turn to their Hydraluron Moisture Boosting Sheet Masks when my skin needs an extra pick-me-up. Soaked in a refreshing, hydrating gel, these masks give life to tired skin. You may look like a character from a horror movie when wearing one, but you won't care when you feel how amazing they are. Even my boyfriend likes using them and he's a real 'lads' lad. Afterwards, skin is left brighter and feeling firm. I don't rinse my face afterwards and leave any excess serum to fully soak in, using any extra from the packet, on the backs of my hands. Every little helps! To avoid my other half running a mile when I plant my pout on him, I keep a lip balm with me at all times. If you're an AGB devotee, I'm sure you're sick of me harping on about the Blistex Repair Cream, but I have good reason. Formulated with ammonia, this medicated, lip life-saver is more than a regular balm, treating and healing chapped lips and cold sores. Instead of being gloopy or sticky, the consistency feels slightly oily and slippy. Even just one application makes such a noticeable difference and with continued use, your pout will be back to its best. Long lasting, if I slick some on before bed, I can still feel it when I get up in the morning. You do experience a fresh, tingling sensation after application, but it isn't uncomfortable, although the menthol fragrance will certainly unblock your nose if you have a cold! Considering this treatment costs under £3, it knocks any other lip balm out of the park. It wouldn't be winter without slathering on a nourishing body cream to prevent scales appearing on our limbs. And who does moisturisers better than The Body Shop? Their new Wild Argan Oil range and, in particular their Body Butter, is so luxurious and just what's needed. The fragrance is similar to the shea butter formula, being creamy and nutty, rather than sweet or fresh, but I love it. If you like moisturisers to sink in immediately, leaving no residue behind, then this product will be far too rich and intense for you. The oil content is very apparent and it gives the skin a generous amount of slip. For that reason, I prefer to apply this before bed. Their Shower Gel from the same line gives my body an extra treat in the morning, instead. Lathering up an insane amount, the bubbles cleanse, but aren't at all drying. You aren't covered in a coating of grease after you've rinsed, but your skin feels super soft and has a glow to it. Used in conjunction with a pair of scrub gloves and you have a sure-fire recipe to super smooth, supple skin. You'll be wishing it was warm enough for bare legs again! If there's one part of the body that bears the brunt of the harsh, bitter weather, it's our hands. I can't stand gloves (ridiculous, I know) so my hands are always left exposed. 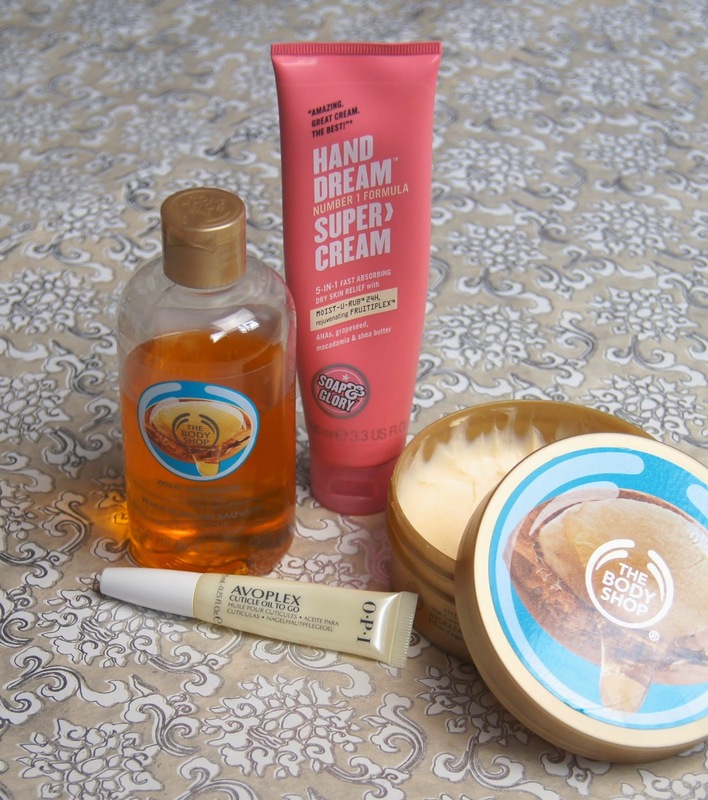 To prevent them becoming dry, cracked and sore, I constantly top them up with the Soap & Glory Hand Dream Super Cream. Everyone raves about the original Hand Food, but the newer version on the block doesn't get as much attention. Both formulas are creamy and thick, without being at all greasy, but I find Hand Dream to be that bit more nourishing. It's one of those products that you can apply in a rush, without the worry of leaving greasy marks on everything you touch afterwards. To avoid flaky cuticles and painful pulls at the sides of the nails, I like to regularly top up my tips with an oil. The OPI Avoplex Oil Pen is handy to carry around, with the in-built brush making it a doddle to apply. A quick swipe throughout the day keeps your manicure looking polished, rather than peeling. Drink lots of water. Usually, summer is the time when we're encouraged to up our water intake, but it's just as important in winter. Everyone gets obsessed with chai and pumpkin spice lattes (never been a fan myself) during A/W; there's nothing better than a steaming coffee or hot chocolate to defrost your fingers and get you all cosy. But it's important to make sure you're drinking enough water. If guzzling the plain stuff sends shivers down your spine, opt for fruity, herbal teas instead. I always struggle to drink enough water, but notice a major improvement in my skin when I make more of an effort. Which products do you rely on to keep yourself in tip top form, during A/W?